Self-Employment Benefit (SEB) is a program which provides various types of support to eligible unemployed Atlantic Canadians during the initial phase of their business, including financial assistance, counselling and technical advice. NOBL provides business workshops for SEB participants to help their businesses succeed. The Workplace Education Initiative is dedicated to building a vibrant and adaptable workforce by partnering with small business owners and their employees to ensure Nova Scotians have the skills to be successful. These provincially certified 40 hour programs offer skills in areas that will help a business grow..
CBDCs offers individualized training opportunities, as well as group training to clients and other small business owners. CBDC's also have the ability to offer Consultant Advisory Services to small and medium sized businesses & not for profit organizations. Several of NOBL's Partner organizations offer training opportunities. Information on Trade missions, conferences, and workshops are compiled from Chambers of Commerce, Nova Scotia Business Inc, the Government of Nova Scotia, Business Development Bank of Canada, and Export Development Canada; to name a few. Introducing a New Opportunity for Tradespeople and businesses in Our Area! 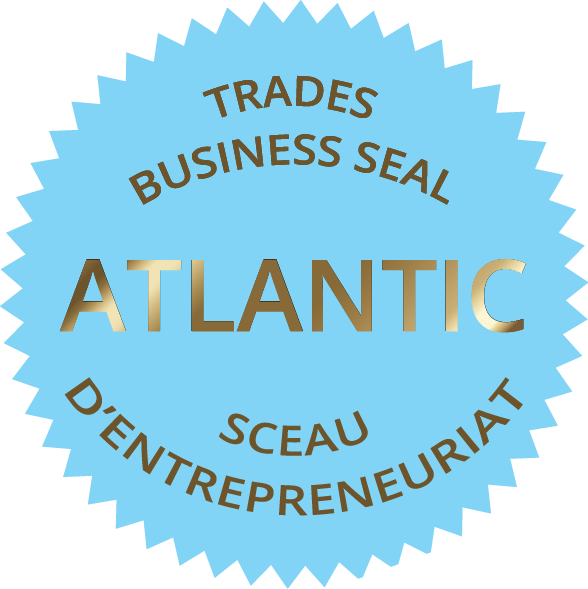 The Atlantic Trades Business Seal Program is a continuing education program for Atlantic journeypersons to advance their business and leadership skills and to gain regional career mobility. The seal can prepare you to take over a managerial role at your company or to start your own business. If you are already a business owner, the program can help you develop the skills you need to take your business to the next level. The goal is to assist tradespeople to start and operate their own business or move into leadership roles in their organizations. The seal program will result in greater regional mobility and business growth in Atlantic Canada. The program is organized under the leadership of the Atlantic Apprenticeship Council. The Atlantic Trades Business Seal Program is a continuing education program that is specific to the business and leadership needs of Atlantic tradespeople. The program is comprised of five stand-alone modules. Each module develops a specific set of skills that are critical to entrepreneurs and business management. Admission Requirements – Applicants must hold a Certificate of Qualification in a designated trade. Business Skills for Growth and Profitability. CBDC/NOBL has many partners in the business support arena. We share clients with ACOA and Service Canada; not to mention other financial institutions such as banks and credit unions.. We work with the local development agencies and Nova Scotia Business Inc. to find potential entrepreneurs as well as businesses looking for financial assistance. We see ourselves as the deliverer of all government small business development financing programs and as such have a bailiwick of options for people interested in getting into business, expanding or modernizing their current business. CBDC-NOBL has been dedicated to strengthening the economic base of the Northern Region. When Northern Opportunities for Business Limited (NOBL) was formed in 1986, it was known as Pictou County Business Opportunities Limited. NOBL has been operating since the beginning of 1997 in the three Counties of Antigonish, Pictou, and Colchester. Throughout that time our mandate has remained the same: To Support Business in our Community. Northern Opportunities for Business Limited (NOBL) was formed in 1986 as Pictou County Business Opportunities Limited to actively promote, encourage, and assist economic development in our geographic area . Our mandate was set at that time and continues today.